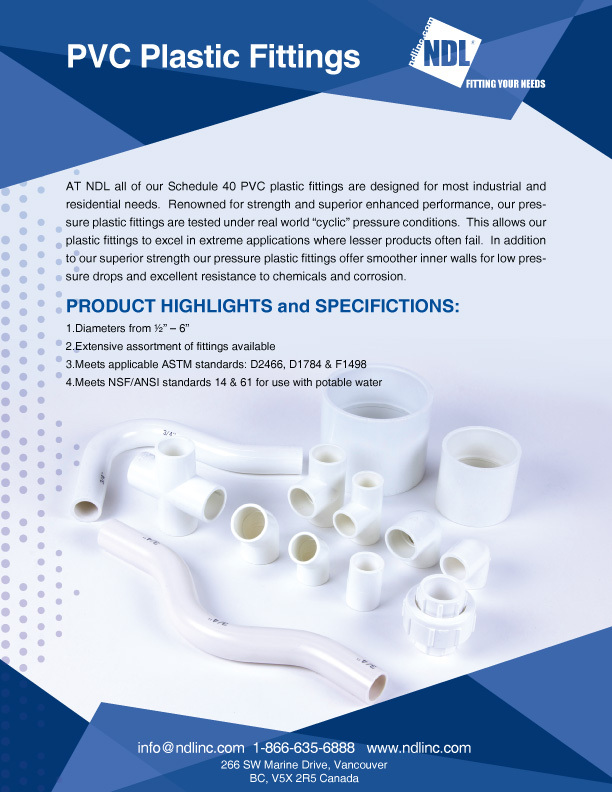 AT NDL all of our Schedule 40 PVC plastic fittings are designed for most industrial and residential needs. Renowned for strength and superior enhanced performance, our pressure plastic fittings are tested under real world “cyclic” pressure conditions. This allows our plastic fittings to excel in extreme applications where lesser products often fail. In addition to our superior strength our pressure plastic fittings offer smoother inner walls for low pressure drops and excellent resistance to chemicals and corrosion. Copyright 2019 by NDL Industries.